A few years ago we bought a wonderful HD camera. 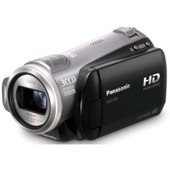 The Panasonic HDC-SD9 camera has been a slam dunk success in our family. By adding an 8GB SD card, the camera has ample storage to go with its excellent battery, size, and picture quality. The big problem with this camera is handling the videos once one has completed recording. Panasonic bundles the camera with some of the worst software known to man, however the best way to handle the videos is to ignore that bundled software and use other products. In another post I’ll discuss handling the files (I just use Windows Explorer), but the focus here is getting Panasonic and Sony’s .mts files up to YouTube. One way to prepare these files is with Windows Live Movie Maker. However Microsoft has oversimplified that product to the point that it is difficult to use. The best product, easily, is VideoReDo because of its blazing fast speed as well as versatile, easy to use settings. In the Video section of the dialogue box, select the “>” button to the right of the resolution numbers, and select “1280×720” in the list. Select “OK”, then Save to save the file. VideoRedo will spend a few minutes transcoding the video, but when it is complete, open your YouTube profile page and select “Upload” at the top. Navigate to your saved video, and begin the process of uploading the video. The result should be an “HD” video that is easily navigable. I believe that the $50 product will do the task at hand, but honestly, I do not know. Being an avid Windows Media Center 7, Android, and iPad user, I got the $100 version and it is some of the best $100 I’ve ever spent in the computer world. With this level I can take HD Home Video, Time Warner Recorded TV (via Windows Media Center) or captured VCR tapes and create compilation DVDs or convert them for playback on the Android phone or iPad. There are other products for doing these actions, but they are all extremely slow and are difficult to work with. Last year we bought a Panasonic HDC-SD9 high-def camcorder and have been extremely impressed with the camera in general. The picture quality, size, stability, and SD Card form factor have perfectly suited our needs. The major weakness is management of the video files. Panasonic includes some software with the camera, but it is useless for doing anything but putting videos onto a DVD, which defeats the purpose of recording in HD. They also included some movie-making software, but is extremely cumbersome, and still did not manage high-def videos in Windows XP or Vista. Thankfully there is Windows 7. 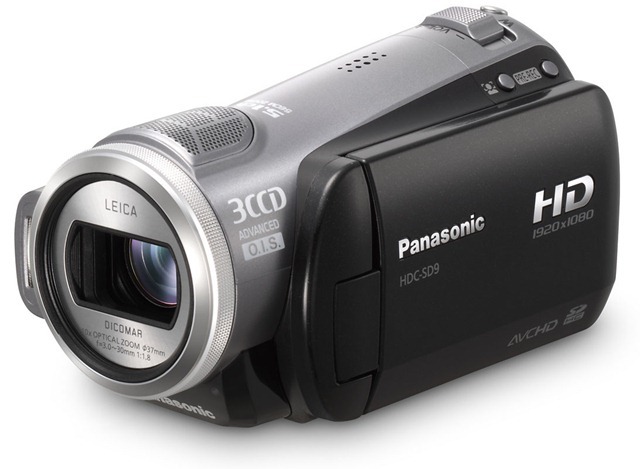 Panasonic and Sony selected the AVCHD format for their videos, but previous versions of Windows were not able to manage this codec. Not only does Windows 7 include native support for AVCHD, but the new Windows Movie Maker, a free download from Windows Live, can easily publish these files to YouTube. In order to publish one of the SD9’s videos to YouTube, one must first move the video files onto the computer’s hard disk drive. Insert the SD card into the card reader, and navigate to that drive using Windows Explorer and look for the folder: X:\PRIVATE\AVCHD\BDMV\STREAM (where "”X” is the drive letter for the SD card). Each scene recorded by the camera will appear as a .m2ts file. (These files include the video and the audio, by the way.). Select all of the .m2ts files, and move them to a temporary folder location you’ve created on your hard drive. (I set up \Users\Public\Videos\UnprocessedVideos as mine, and put a link to it in the SendTo list). To publish the video, click on the Home tab, and select the YouTube logo in the Sharing section of the ribbon. You’ll have to enter your YouTube account name and password for each upload. After a few minutes you will be notified of the publishing success with the option to view the video in YouTube. It will take YouTube a few minutes to complete its transcode, and the job will be done. I found a link to a funny scene-by-scene remake of Journey’s "Separate Ways" video! This woman’s net worth is $150 million.